It is highly likely that much of the code examples here of Swift will be changed later. This is partially because my development style is to write now to test an idea, and refactor later, and it is partially because I (like everyone) am completely new to Swift and am starting out fresh. So it is likely as I learn things over time, the course of this tutorial will change. I will update code examples as needed, but not so much that the learning process is not also demonstrated. I think this is also a useful process to see. var myString = "This is my string." There’s a lot more to go over, but I think these basics are important to get a start going on to the tutorial. So with that, let’s move on to Hello World. First, we’re going to write the simplest app imaginable to get started, Hello World. This segment comes directly from my upcoming book on Swift development, but it’s so important and fundamental to getting started I thought it would be good to release for free here. Our app will only do one thing: print “Hello World” to the console. 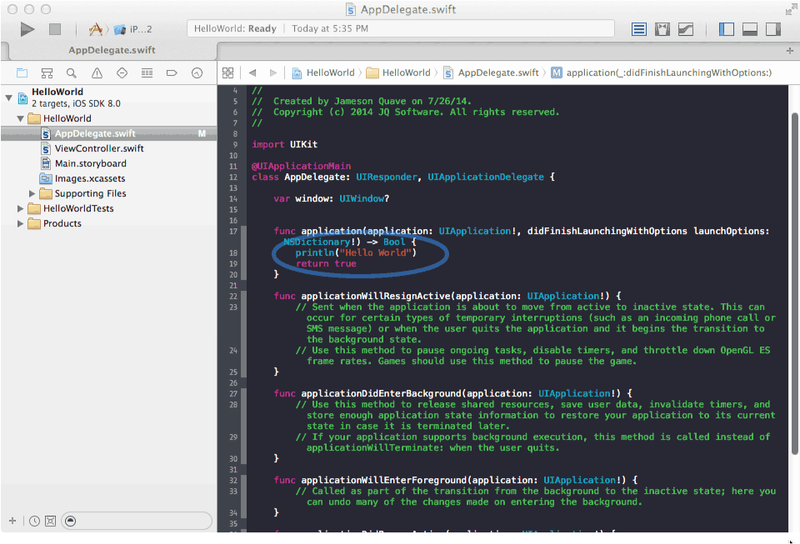 You’ll need a developer copy of Xcode in order to follow along, which requires a developer account. If you have one, head on over to http://developer.apple.com and get your copy before we begin. So now you’ve got your IDE set up. Let’s write hello world out to the console. This example demonstrates the simplest app that can be built, and more importantly shows that you’re environment is set up correctly. 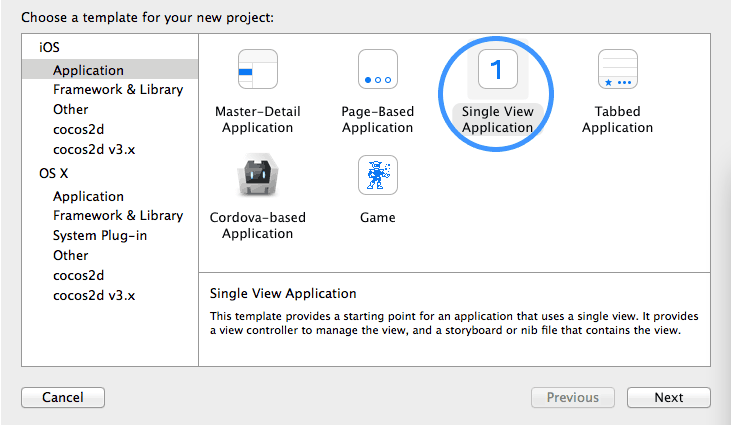 Set up an Xcode project using the single-view application template, and make sure you opt for Swift as the language. "// Override point for customization after application launch." Now press run and you should see a blank app boot up, and the words “Hello World” print to the console. **Note that this will not show up in the iPhone simulator. 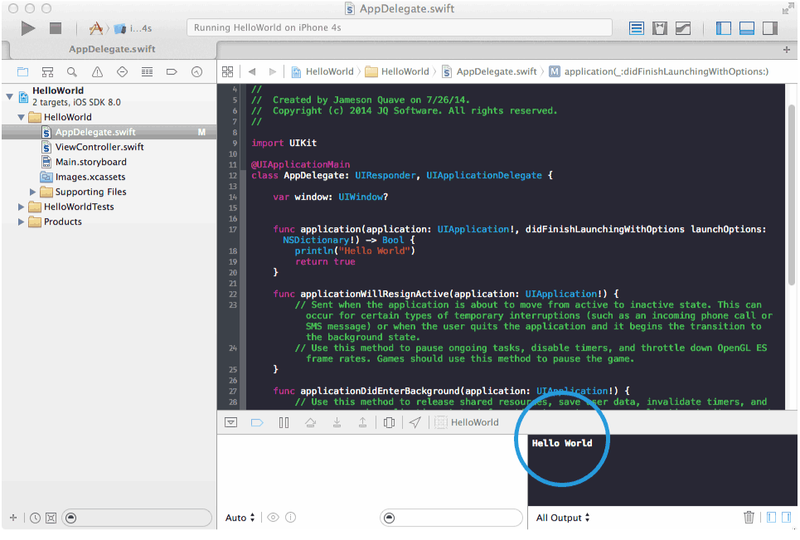 Look at the bottom of your Xcode window and you’ll see a console that says ‘Hello World!’. Congratulations! 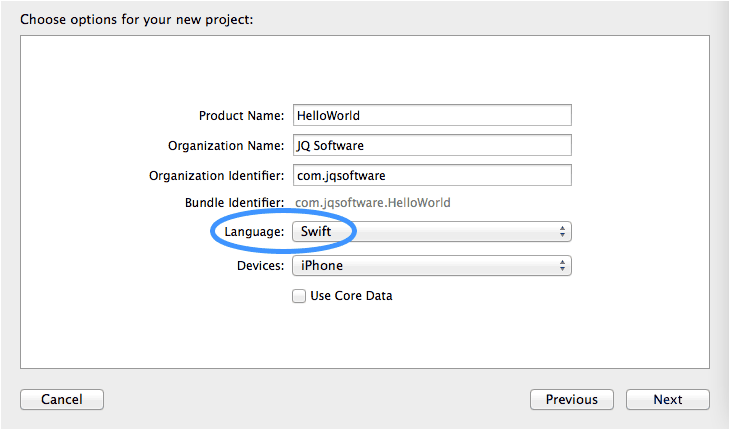 You just wrote your first app in Swift!